Is your world full of toxic situations and toxic people? Would you like to declutter your toxicity? This article from Hack Spirit is just what you need. For almost 5 years I struggled to find inner peace and was lost in a whirlwind of anxiety and overthinking. Because no matter what I tried I simply didn’t know enough about what true happiness means. I was constantly fighting negative emotions which only made them worse. I couldn’t find peace because I couldn’t accept reality. I really begun to think that perhaps I’d never be able to find peace and happiness. I thought that I’d never be able to reach my full potential and grow up to be the man my parents had always wished I’d be. That thought was soul destroying. I was constantly exhausted, stressed, anxious and depressed. After reading some Buddhist texts I finally realized the cause of my problems. And through hard work I managed to implement their advice to make my life more fulfilling, productive and happy. You see, according to Buddhism, the main source of suffering is attachments. And once I realized that, I did a huge analysis of everything I was attached to and got completely rid of it. Most of it was mental. Some of it was physical. But getting rid of ALL of it was liberating. I’ve listed them below. I hope you can get as much out of them as I know I have. 1. Dwelling on the past and worrying about the future. 2. Trying to live up to people’s expectations. 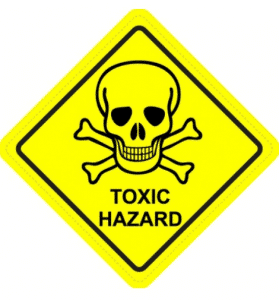 Click here for the remaining 19 toxic attachments.